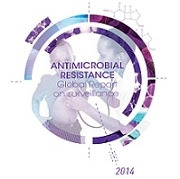 A new report by WHO, Antimicrobial resistance: global report on surveillance 2014 is the organisation’s first look at antimicrobial resistance, including antibiotic resistance, globally. The report reveals that this serious threat is no longer a prediction for the future, it is happening right now in every region of the world and has the potential to affect anyone, of any age, in any country. Antibiotic resistance – when bacteria change so antibiotics no longer work in people who need them to treat infections – is now a major threat to public health. This report starts a global effort led by WHO to address drug resistance. Click here to read a fact sheet on antimicrobial resistance.